You are invited to our monthly intimate, up close and personal house concert and dance show! Couches, chairs and cushions. 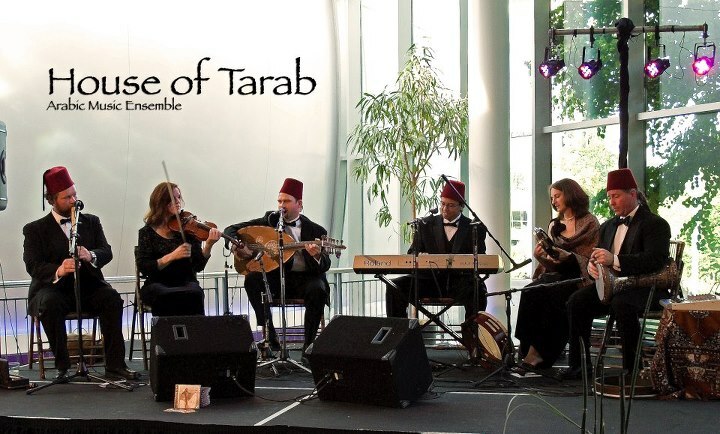 The 7 piece live music by House of Tarab is almost an entirely acoustic, you get to hear the music like we do in rehearsal. The dancers are well lit and completely surrounded by the band and you the audience. This is an experience like no other. More than a show this is a Class: Belly Dance 101. Each month features Delilah and 2 professional performers. (See our calandar for current dancers>> )Each Dancer performs the full 7 part routine lasting around 20-25 minutes. You as the audience will experience the full evolution of the dance routine. Seats by RSVP only. There are very limited spots 35 seats only .